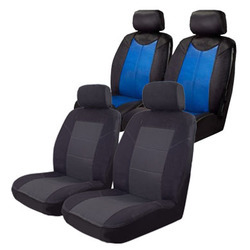 Leather look seat covers are the ultimate waterproof protection for your car seats. The synthetic leather is highly durable and 100% waterproof, ideal for vehicles which are subject to alot of grime and liquid. The number 1 choice for Taxi's, leather look seat covers will keep your seats protected and add some class to the interior of your car. 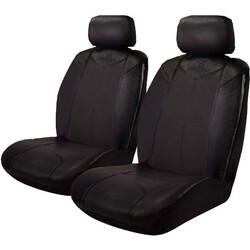 Custom made leather look seat covers are available for all vehicles. Please call us on 1300 554 288 for more information.